Ever been to a corporate event that was just boring, boring, boring? Whether it’s a team building event for employees, a company awards evening or even a black tie fundraiser, there’s nothing worse than an event that leaves people yawning and wishing they weren’t there. One way to ensure that your function is a resounding success, is to hire a corporate magician who knows his stuff, and can keep your guests entertained, and having a whale of a time. Corporate functions are often filled with awkward small talk, especially at the beginning. A crowd pleasing corporate entertainer with a bag of magic tricks up their sleeve can get guests talking, interacting and laughing. Creating a buzz around any event is essential for it’s success. A corporate magician is a great draw card that can generate excitement before the event – adding an atmosphere of anticipation. 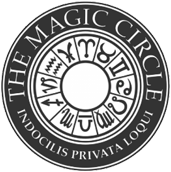 Magic entertainment is something very different to offer your guests, and it’s guaranteed to intrigue and enthral. Corporate event entertainment is just one of many things that go into creating the right vibe at a function, such as food, decor and music. Atmosphere can deflate as quickly as a popped balloon if the entertainment is not up to scratch. 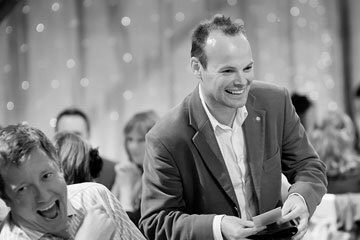 Booking a magician ensures fast paced action to keep guests interested and engaged.